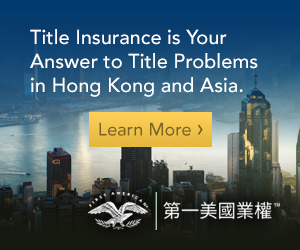 While Hong Kong’s Competition Ordinance (“CO”) regulates bid-rigging and joint tendering, the definition and distinction between the two can at time appear muddied. This article explains these definitions and differences, and proposes practical steps that companies can take when engaging in joint bidding, to ensure compliance with the CO. Bid-rigging generally occurs when various parties agree not to compete with each other for tendered projects. It can take many forms, for example, by agreeing not to submit a bid or to withdraw a previously submitted bid. Alternatively, parties could agree to take turns at winning tenders, or to submit unattractive cover bids at high prices to allow another party to win the tender. In essence, any conduct that reduces the competitive tension in the bidding process could constitute bid-rigging. 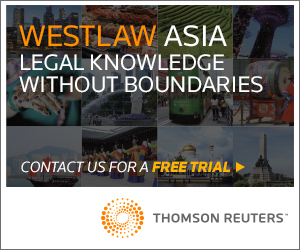 The Hong Kong Competition Commission ("HKCC") considers bid-rigging to be inherently anti-competitive, and a contravention of the CO's prohibition against anti-competitive agreements that restrict competition in Hong Kong (the "First Conduct Rule"). Importantly, the CO carves out a subset of bid-rigging conduct by providing a statutory definition of bid-rigging under s2(2) CO that amounts to serious anti-competitive conduct ("Serious Bid-rigging"). This is distinct from bid-rigging that does not amount to serious anti-competitive conduct ("Non-serious Bid-rigging"), a key difference being that Serious Bid-rigging can only arise when the person calling the tender does not know of the coordination between the bidding parties. The s2(2) CO definition of Serious Bid-rigging was not part of the original Competition Bill 2010. Instead, it was included as part of the 2012 amendments to the Competition Bill, and was modelled on the competition law of Canada, which defined bid-rigging to include the requirement that the person calling the tender must not have known of the collusive conduct. However, important distinctions exist between the Canadian regime and the Hong Kong regime. In particular, bid-rigging is criminalised under section 47(2) of Canada's Competition Act, and a person found guilty of the conduct is liable on conviction to fines and imprisonment not exceeding 14 years. In contrast, it is not clear that bid-rigging would be considered a criminal act under the CO, and persons engaged in such conduct do not face imprisonment. Instead, the idea to include a definition of 'bid-rigging' was raised in the Bill Committee's October 2011 response to concerns that small and medium enterprises ("SMEs") could unwittingly breach the law because of a lack of certainty as to how the catch-all general prohibition against anti-competitive agreements under the First Conduct Rule would operate. In response, the Bill Committee proposed to specify four types of serious anti-competitive conduct – price-fixing, bid-rigging, market allocation and output control – that would always have an adverse impact on competition, to provide clear guidance on the type of conduct that SMEs were prohibited from engaging in. In specifying bid-rigging as a form of serious anti-competitive conduct, it also became necessary to define the term "bid-rigging" – thus the inclusion of s2(2) of the CO. Accordingly, and save for serious anti-competitive conduct, SMEs are exempted from the First Conduct Rule where the combined turnover of the parties engaged in the relevant conduct or agreement for the turnover period does not exceed HK$200 million (the "SME Exemption"). Parties that do not fall within the SME Exemption are prohibited from all types of bid-rigging – both serious and non-serious. 6.30 Bid-rigging practices should be distinguished from legitimate forms of joint tendering. However, a closer reading suggests that the distinction based on whether a joint or separate bid is submitted may not be determinative of whether particular conduct is bid-rigging or joint tendering. 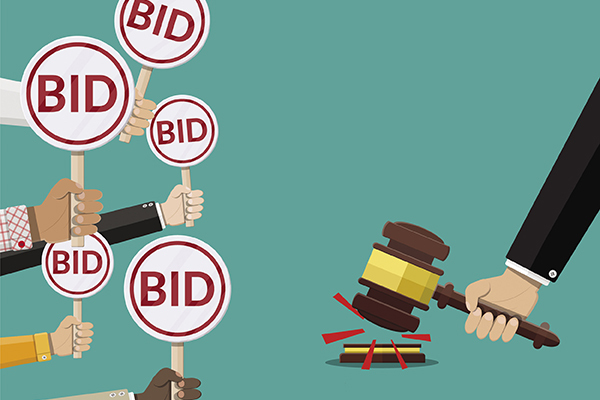 Given that the Guidelines use the term "generally" and "more often", there is room to argue that other conduct may be classified as bid-rigging, even if only one joint bid is submitted. Other parts of the Guidelines appear to support a broader interpretation of bid-rigging that could include joint tendering, for example, in referring to bid-rigging as conduct where "undertakings agree…that certain parties will not submit a bid…". The s2(2) CO definition also gives space for joint tendering to constitute bid-rigging by defining bid-rigging as "an agreement [between undertakings] whereby one or more of those undertakings agree…not to submit a bid". Accordingly, where joint tendering involves an express or implied agreement for the parties not to put in separate independent bids, such an arrangement could fall within the above definition/explanation of bid-rigging. Why does it Matter how the Conduct is Identified? 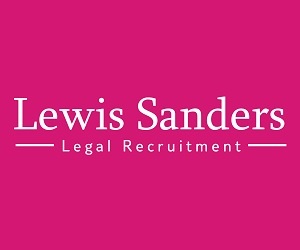 It is important to ascertain whether joint tendering may be assessed as a form of Serious Bid-rigging, Non-serious Bid-rigging or joint tendering because there are differences to how the conduct would be assessed. If the conduct is seen as bid-rigging, the HKCC will generally assess it as an object restriction (i.e. it does not have to demonstrate that the conduct had anti-competitive effects to find an infringement). 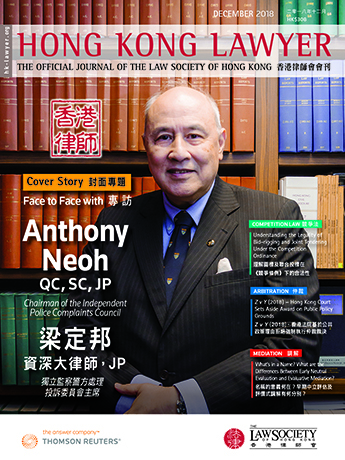 If it were only assessed as joint tendering conduct, the HKCC would adopt an effects analysis and examine the actual or likely effects of the conduct on competition, which would be more difficult to prove. There are also differences in relation to whether the SME Exemption applies, and whether the HKCC would need to give warning before commencing proceedings. These are set out in table 1. It is helpful to consider how joint tendering is assessed under competition law in Europe as the CO is influenced by European jurisprudence. There appears to be agreement between European courts, regulators and commentators that the threshold issue to cross when examining joint tendering is to determine if the parties involved are actual or potential competitors. If they are unable to put in a bid by themselves, they would generally not be considered to compete with each other, and any agreement amongst them to jointly bid would not be prohibited. However, there also appears to be some divergence regarding how joint tendering should be analysed. At least two approaches have been considered. One is to see joint tendering as a form of price fixing (see e.g. E-03/16, Follo Taxi SA v Staten v/Konkurransetilsynet). Under this approach, joint bidding is seen as two parties agreeing on tendered prices. This joint bidding/price fixing conduct would be considered an object restriction. However, if it can be shown that the coordination is in fact an ancillary restraint (i.e. the operation would be impossible to carry out in absence of the restriction in question, and the restriction is proportionate to the underlying objectives of the operation), it may escape the prohibition against anti-competitive agreements. If the joint tendering gives rise to efficiency gains or better products being tendered, it may also be lawful. The other approach is to see joint tendering as a form of joint selling (see e.g. Danish Competition and Consumer Authority guidelines on Joint Bidding under Competition Law). This approach attempts to graft joint tendering onto the existing framework for analysing joint selling under the European Commission’s Horizontal Cooperation Guidelines: joint selling (and therefore joint tendering) would be a restriction by object, unless it forms a necessary part of a joint production agreement (in which case, it would be assessed by effects). If the collaboration entails the integration of activities, for instance a new production facility, and it is shown that the restrictions are necessary for the joint production, the collaboration will generally be viewed as joint production. If, however, the collaboration is closer to a means for the parties to sell products or services jointly in order to eliminate competition between them, this will typically be considered joint selling. Even if the joint tendering restricts competition, it can still be lawful if it gives rise to efficiencies e.g. by allowing a more competitive bid to be submitted due to cost reductions, better products etc. The key observation from the two approaches is that joint tendering could at times be treated strictly as an object restriction, depending on the nature of the cooperation. How would Joint Tenders be Assessed Under the CO? It remains to be seen how the HKCC would assess joint tenders. While the Guidelines appear to suggest that joint tenders are distinct from bid-rigging, and would therefore be assessed by effects, the possibility remains that it could nonetheless fall within the broad definition of bid-rigging, and be assessed as an object restriction. Are the joint tender parties able to put in their own independent bids absent the joint tender? If not, the parties are unlikely to be actual or potential competitors, and any joint tender between them would be unlikely to raise competition issues. For it to be pro-competitive, the Guidelines suggest that the joint tendering minimally has to be carried out in the open and the arrangement has to be known to the tender organiser. If the joint tender is carried out in secret, it would unlikely be pro-competitive. Note, however, that arranging a joint tendering in the open would not immunise the joint tendering from being a potential infringement. There have been cases in Europe where an openly conducted joint tender was nonetheless considered to restrict competition by object. The form of cooperation envisaged under the joint tender is important to determining whether the joint tender is anti-competitive. If the joint tender involves pooling of parties’ assets and joint production, it is more likely to be pro-competitive. For example, if the joint bidders have complementary skills or different specialties (e.g. access to different/complementary technology, access to raw materials, access to specialised workforce) cooperation between the parties is likely to be more pro-competitive. Conversely, if there is little actual pooling of resources or joint production, and the collaboration is closer to a means for the parties to sell jointly in order to eliminate competition, the joint tender is more likely to be anti-competitive. As in Europe, it is possible for the HKCC to adopt a strict ‘object restriction’ approach and consider this latter situation to be a form of bid-rigging. Even if the joint tender is not anti-competitive, parties have to consider if the various restrictions imposed as part of the joint tender are directly related to, proportionate to, and necessary for the implementation of the joint tender project i.e. they are ancillary restraints. If the SME Exemption applies to the joint tendering conduct the First Conduct Rule would not apply, and qualifying SMEs can put in joint tenders without fear of infringing the CO as long as their joint tenders are known to the person calling the tender.